Kickstarters for worthy Steampunk projects abound as of late, and today I have another outstanding opportunity for you to be a part of supporting Steampunk music. Vagabond Opera is long overdue for a new album and they need your help to make it a reality through an ambitious Kickstarter project that started yesterday. Unfortunately, WordPress and Kickstarter don’t always get along with regards to embedding videos, so you’re going to have to go to Vagabond Opera’s Kickstarter to see the video and hear their appeals for your help. And remember, the catch to Kickstarter is that should Vagabond Opera fall short of their goal, even by one dollar, they don’t get any of the money they raised. 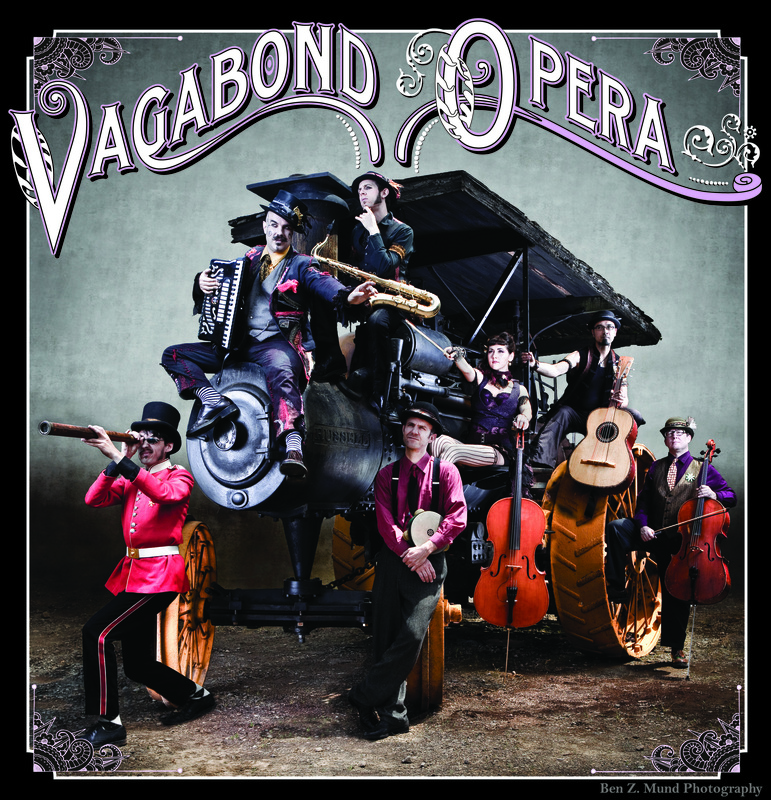 So if you’d like to see Vagabond Opera put out their new CD, please consider giving to support their efforts. A gift of $25 gets you the CD you’re likely to buy anyway when it comes out, so consider it an investment into Vagabond Opera’s music. If you happen to not know much about Vagabond Opera, to be sure to check out their website as well as this interview I did with them not too long ago. This entry was posted in Music and tagged Kickstarters.